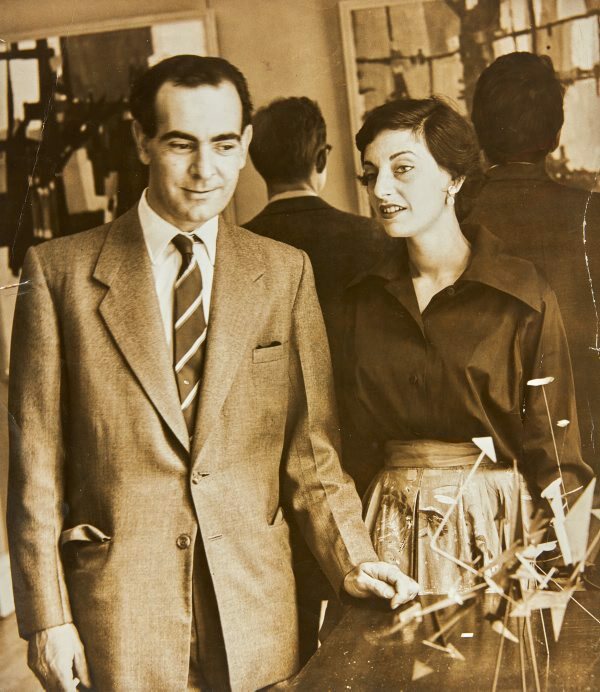 This photograph shows Robert Klippel with his wife Nina Mermey at the opening of the 'Direction 1' group exhibition at Macquarie Galleries, Sydney. Klippel showed alongside John Olsen, Bill Rose, Eric Smith and John Passmore. 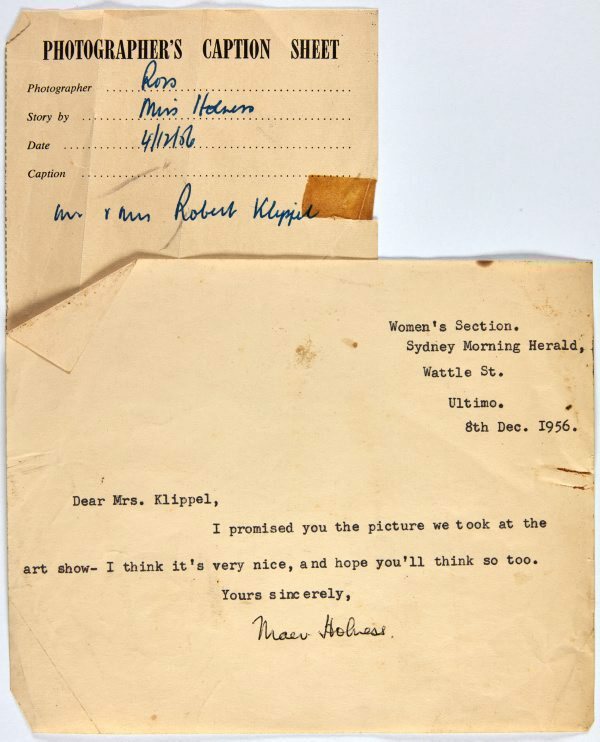 This exhibition was claimed (erroneously) by the critic Paul Haefliger as the advent of abstract expressionism in Australia. Not signed. Dated u.l., verso, pencil "1956".